Fall is just around the corner, and with it comes a new exhibit at GfG+S! 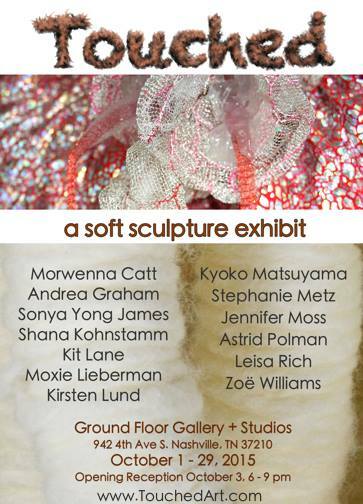 “Touched: a soft sculpture exhibit” opens on October 3rd from 6-9pm and will run through the month of October. Be sure to make Ground Floor one of your stops on the October First Saturday Art Crawl in Nashville! This entry was posted in Shows and tagged 4th Avenue South Nashville, Art Crawl. Bookmark the permalink.